It is difficult to grasp that one wild grape vine, vinis vinifera, evolved over millions of years into what are now some 10,000 grape varietals, including the California chardonnay or Argentine Malbec that you’re enjoying right … this … minute. 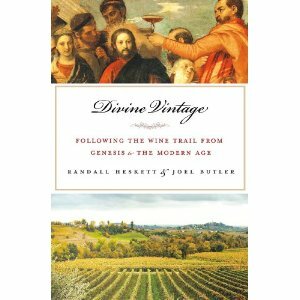 The grape’s story is central to the Bible and some of the details of its ancient beginnings will baffle you, including these five fascinating facts from “Divine Vintage: Following the Wine Trail from Genesis to the Modern Age” (Palgrave; $26) by Randall Haskett and Joel Butler. The book comes out Nov. 13. In 2011 the earliest winemaking facility was discovered in southern Armenia. An excavation at the 6,000-year-old site revealed a fermenting vat, the remains of a drinking cup made from animal horn, storage jars, dried grapes, seeds, and the presence of malvidin, a compound that gives red wine its color.